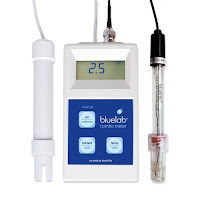 If you are looking for an upmarket solution to measure and meet your pH solution needs then the tried and true Bluelab brand has the measuring device you are looking for. Bluelab has a reputation for making devices which help with crop management, soil testing, nutrient meters and home-based hydroponics. It's apparently really popular with marijuana enthusiasts in California and kombucha makers everywhere! The meter has two probes, a Bluelab pH probe and a Bluelab Conductivity and Temperature probe. When taking a reading, simply place them into the solution and the selected reading is displayed on the screen. The beauty of the Bluelab system is that all their probes are compatible with their entire range. As with most decent pH testers, you'll need to purchase probe storage solution to maintain an prolong the life of the probe. 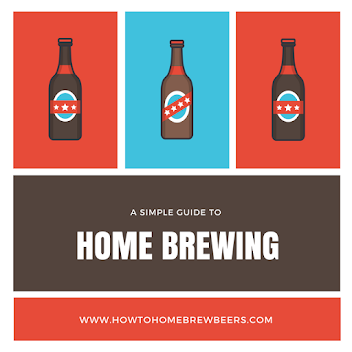 Calibration of the pH probe is quite simple as instructions are supplied on the back of the meter and the easy 'push button method' makes this one of the simplest meters to use for your brewing needs. That said, there are plenty of mistakes people make when using meters, especially when calibrating. The pH probe is quite replaceable so you can use this meter for many years to come. You should be able to do this as Bluelab offer a 5 year warranty on their product! This surely gives you an idea as to the quality of the product and the faith the brand has in it. By utilizing the temperature function of the unit, you'll be able to take accurate readings during the boil and quite importantly, after you've cooled the wort sufficiently, you'll be able to record the correct temperature at which to pitch the yeast - old hands will know that if you pitch yeast into a wort that's too hot, you will kill the yeast and no fermentation will begin. Auto off function to make sure that battery doesn't wear down. Five year warranty for the unit itself, and six months for the probe. Because of its demonstrated quality, this is a pricey unit but well worth it if you are a regular brewer who needs to monitor the hydrogen potential of their beer! If you are looking for a mid-price range metering device, Blue Lab's portable pens are in the hundred dollar range. They are quite portable and come with a conductivity probe care kit. "I am going on 6 months and it hasn't even needed to be re-calibrated." "Be sure to do the recommended meter maintenance and proper storage of probes." "Recommended if precision means everything to you! Calibrate twice a month minimum if used daily, and buy some storage solution for the probe! It doesn't come with any extra storage solution, but it is a MUST to get some as well as extra 4.01 and 7.01 buffer solutions and you're set for a while!" "Easy to use. Worked right out of the box. Easy to calibrate and maintain. I'd wanted one for years but didn't want to spend the $$. Well, I'll tell you, it was worth it. I never knew how far off I was with just using measurements and test strips. The next batch that I produced using accurate measurements with the combo meter were astounding. Try it and see the difference." Here's the official video from Bluelab which shows you how to prepare the meter for its initial use and how to correctly calibrate the device with the proper buffer solutions. When should I clean the Blue Lab ph Meter? when the on screen reading is quite different to what you were expecting. when the batteries have been run flat, removed or changed. This is because the device forgets its readings. when the pH probe is replaced with a new one or is disconnected from the Combo Meter. the pH calibration indicators have disappeared from the unit. When calibrating the pH after the machine's first use, the pH probe needs to be cleaned and after each subsequent use. To obtain a correct pH calibration reading, the unit's accuracy is very dependent on the accuracy and age of the calibration solutions used, and the condition and cleanliness of the pH probe tip. You will get a calibration error if the unit is not properly maintained as per the instruction manual. For best results, the user must ensure the pH probe has been cleaned and that it is rinsed with clean water between calibration solutions to reduce contamination of the pH solutions. One should only use fresh and uncontaminated solutions. This means if your buffer solution has been sitting open on a shelf for a couple of years, you probably should obtain a new batch. It's also best practice to calibrate the pH at the same temperature as the solution to be measured. If you're not sold, you could consider these ph pens or check out our guide to five other top rated pH Testers. Hope your kombucha turns out great!